A small business website design solution without any of the hassle or maintenance of dealing with a “normal” small business website. Did you know a recent survey found that seven out of 10 people use the Internet to search for a product or service first, before ever stepping foot into a store? As a business owner, you have tons of things to think about or spend your time doing. You need to sell yourself, your business, and your products or services. You need to constantly grow your business. Either you are the salesman for your business or you need a salesman that’s out there selling for you. But, how on earth do you do that? Your small business website can do this for you. If you think about it, your website is your salesman. A digital salesman of sorts. Your website is available to the world for access twenty four hours a day, seven days a week, three hundred and sixty five days a year. How many traditional salesmen would you need to operate around the clock? Your digital salesman is the perfect tool for your small business. Stop trying to sell yourself and let your digital salesman take care of the hard work! This small business website design solution is perfect for 90% of the small businesses in existence today. If you are a new small business that wants to start out on the right foot our system is exactly what you need. If you are an established small business who wants to update or refresh your current website our solution is perfect for you. YourDigitalSalesman’s small business website design package will work with companies in most industries. We also have specific solutions for real estate agents and churches. 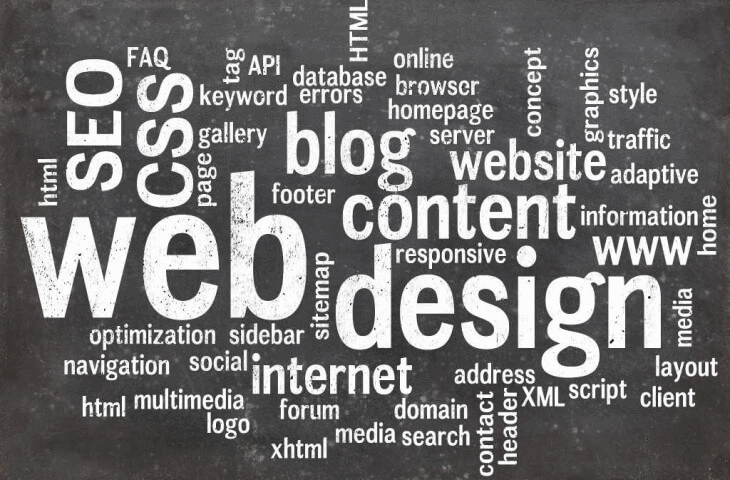 HOW’S THIS SMALL BUSINESS WEBSITE DESIGN PACKAGE GOING TO BENEFIT YOU? 1. Save You Time – If you are in charge of or running every piece of your business you simply do not have time. Let YourDigitalSalesman save you time. Time is the most valuable commodity. Use your time wisely for things such as family, friends, and the things you enjoy in life. 2. Save You Money – Paying a salesman or a fleet of staff to sell your products and services is extremely expensive. If a small business website can sell your products and services for you then the small investment will easily pay for itself. Put your digital salesman to work today for you! 3. Increase Your Credibility – What impression is your business currently giving to prospective clients? A small business website from YourDigitalSalesman will convey your credibility. Make a lasting first impression that radiates trust! 4. Build Relationships – Build relationships with prospective clients and strengthen relationships with previous customers. 5. No Website Maintenance Ever – Our solution let’s you focus on what you do best, your business. Let us worry about adding content, security patches, updates, backups, HTML code, etc. You never have to touch the website if you don’t want to! 6. Small Manageable Monthly Payments – A YourDigitalSalesman website is a small flat rate monthly fee just like a cell phone contract. In fact, your whole website is probably cheaper than your current family plan. Now that is manageable! Content Management System (CMS) – The heart and soul of any good website is the back-end where you manage your content. This section is never seen by general users of your site, but it makes all the difference in the world for you. You get the same WordPress back-end that is used by millions of sites around the world. You can feel confident that your site will be stable, secure, and reliable. We highly recommend against choosing any small business site that doesn’t use WP or a similar content management system as the back-end. WordPress Blog – Each website comes with a blog. You do not have to blog if you do not want to, but rest assured knowing it is there for you at any point. A WP blog is a fantastic and free way to drive traffic to your site. Creating new posts is like typing in your favorite word processor. Custom Pages – We think every website should include the following pages: Home, About Us, and Contact Us page. We will create all the content (text) for these pages for you or we can use your existing sites content. For all these pages we will need some basic input or guidance from you. In addition we will create up to 15 custom pages for you. These may be anything you like including pages for your products or services. Ability To Add Unlimited Pages – Your site comes with the ability to easily add as many pages as you would like. There is no limit. You can add pages or posts through the back-end using a simple WYSIWYG editor. This is just like typing in your favorite word processor. Custom Graphics – Your new website comes with a custom graphics. We design graphics as neccesary to compliment your website. This may include a header, logo, background, etc. Custom Color Scheme – We will select a custom color scheme for that coordinates with your logo and company’s mission. If you already know colors you would like, please pipe up! SiteMaps – A search engine friendly SiteMap is a must if you want search engines to crawl your site efficiently. This SiteMap tells search engines how to find every page on your site, so it can be included in the search engine’s index. Your sitemap is automatically updated every time you add a post or page to your site. Social Media Sharing Buttons – Social media is all the rage these days. Your website will include options that let users share your website content to their social networks of choice. This can generate huge amounts of free traffic to your site. Plugins & Widgets – All sites are easily extendable through the addition of plugins and widgets. There are currently thousands of free and paid plugins available for immediate installation from the WordPress Plugin site. Adding a plugin is as simple as downloading a file. This is a feature you cannot get without a WordPress website. Care & Maintenance – A website is not a setup and forget kind of thing. A website is like a living breathing animal; your website needs care and maintenance. Websites need updates, upgrades, backups, security scans, etc. We understand the underpinnings of a website are not your core business and you simply don’t have the time to deal with it. Let us do the monthly maintenance of your website and save you the burden. We will ensure your site is backed up weekly, run monthly security checks on your site, update WordPress, update your themes, and upgrade any installed plugins. Search Engine Submission – We will submit your sites to the major search engines. We save you the step of having to do this by yourself. In addition, your website will automatically notify search engines when new content is created. SEO Optimized – Our sites are built on top of WordPress which has a layer of SEO built in. However, all of our themes have their own framework which improves the SEO performance and makes for easy configuration of the SEO parameters. You can edit SEO fields without having knowledge of HTML code. SEO options also exist within each page or post. Domain Name Selection – We will help you select the perfect domain for your business if you don’t already have one. We will even cover the cost of your new domain, absolutely free (a $15 value). If you have your own domain name you can use it with our service. Web Hosting – Every website needs to be hosted so it appears to the world on the Internet. We provide enterprise level hosting free for all customers (a $360 value). For this special package, all subscribers must use our hosting. Email On Your Domain – With your website we’ll setup email on your domain if desired. We recommend Office 365 or Google Apps for Work as the email backend. Whichever service you’d like to use can be integrated. – Want to maintain a list of your previous customers, turn prospects into life long customers, and get a return of $43 for every $1 invested (source: DMA)? If so, email marketing is for you. We can setup your account and get your auto-responder configured free (a $250 value) though you must pay the small fee for the service. Free Revisions – Every one of our website design packages includes unlimited free revisions during the development cycle. We want to ensure your complete satisfaction and will make as many changes as necessary. In all honesty, most sites don’t require more than a handful of minor revisions. After we go live with your website, changes are on us. That’s right, you get all of the content changes you want. You communicate your changes through the Change Request Form and we take care of the rest. Full layout redesigns can occur every three years. Website Training – After we agree that the site is complete and you are satisfied. We provide you with video training or will conduct a 60 minute training session with you if you plan to make edits to the site yourself. This training can be done in person if we are geographically close or we will complete it through screen sharing software. We will show you exactly what needs to be done to add pages, make blog posts, maintain your site, and answer any other questions you may have. This type of hands on instruction is unique; there are few website design providers offering this level of service. Delivery Time – Most sites are completed within four weeks. This assumes we have all required information and materials from you. We will be able to give you more accurate start and completion dates when we begin your project. 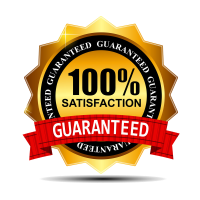 Every service we provide is backed by YourDigitalSalesman’s 100% full satisfaction guarantee & fanatical customer support. If for any reason you aren’t completely satisfied with your purchase simply request a refund using the contact page within 60 days from the date of purchase and you will be provided a full refund. If you’re not happy; we’re not happy. Period! We will work until you are thrilled about your website before we mark the project as closed or you will be provided a full refund. INVEST IN A SERVICE THAT ACTUALLY HELPS YOU MAKE MONEY! That cell phone in your pocket is probably more expensive than the small business website you can purchase right from this page. Why not invest in a service that will actually help you to make money? Plans start at only $247 a month. To get started, contact us now and let’s put your digital salesman to work – saving you money, time, and hassle!